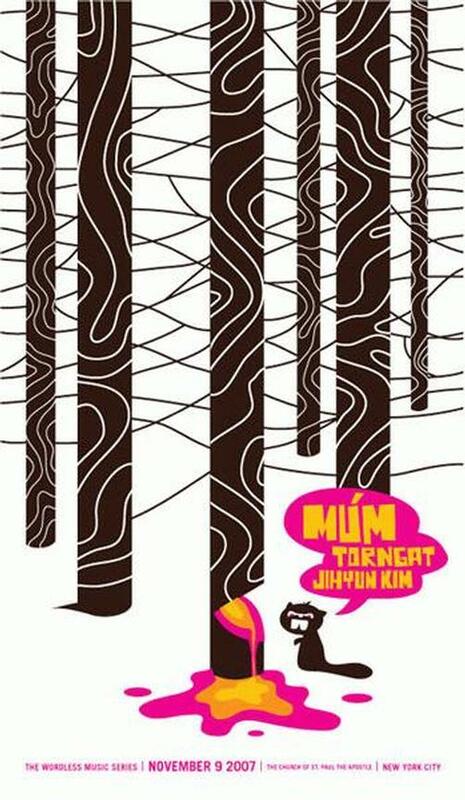 Original silkscreen concert poster for Mum, Torngat, Jihyun Kim at he Church of St. Paul the Apostle New York 2007. 15 x 26 inches on card stock paper. Brown, Magenta, gold, and yellow. Limited edition of only 125 signed and numbered by artist Dan Stiles.